Who says that Muslim girls cannot have swag with hijab?These days Hijab fashion is not what it use to be a decade ago.From hijab street style to funky look ,now a days it is as much trending as any other main stream fashion .For those of you who don’t know what swag is, we will tell you what it actually means. Swag is a way of dressing that highlights trendy clothing style. You can have it as a part of your everyday wardrobe. Not just boys but girls also have their swag style. People who follow the swag style make sure that everytime they step out of their house they should make a statement every time. Today, Outfit Trends brings you 20 swag style ideas for hijabi’s. This season the hijab’s will include ethereal colours such as Coral and Aquamarine. For spring and summer season the pastel colours will work well. Summers and spring season is all about rich colours and prints. Like every year this year too the floral prints are back with a bang and are going to rock this year. Girls who like to wear hijab with swag style usually remain confused because they don’t know how to style the hijab with swag? If you are also one of them, then stop worrying as we bring you unlimited ideas for this season. All you need to do is, do some experiments with your old hijabs and style it with a bit of fusion. 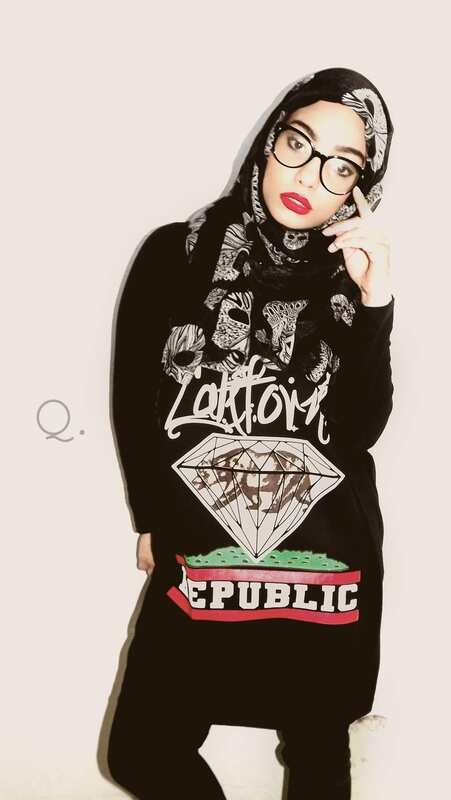 This article will surely be an ultimate guide for those who want to dress for a swag look with a hijab. In the olden days, Hijab and Abaya were worn only for religious purposes but now days girls also consider it as an important fashion accessory to wear over the head. You can find several scarfs and hijabs in different colors, designs and patterns. With the time not only have colours changed, but the Hijab styles and types have also become very prominent. Hijabs can now be found in exquisite designs and styles. 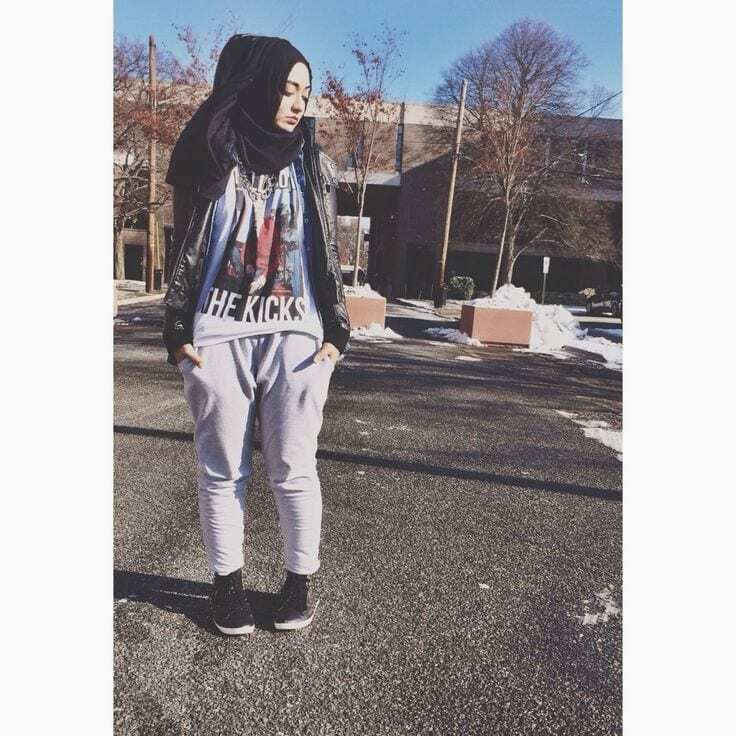 For swag style dressing hijab’s can be worn with jumpsuits, jeans and shirt, skirt and top, with a long maxi, over a jacket etc. The style is to be chosen by the individual’s prefernce. It can be worn in plenty styles such as the famous Spanish style which involves a veil wrapping the hair, leaving the neck uncovered and can be worn over a jacket. This style is also known as the Egyptian Spanish Hijab Style which is very trendy. You will see a lot of girls wearing a hijab and then twisting it on one side. Other then this style the camel hump hijab style is also very common in the gulf region. This style involves tying your hair up in a ponytail or bun, which creates a hump at the top of the head. We have arranged the pictures below in order to show you how you can style hijab with swag style. Another stylish way is to tie up the Hijab as a knot or a turban as shown in the pictures below. This style is very common amongst the Lebanese and Sudanese women. These trendy hijab styles can also be learnt online through the various tutorials uploaded. I really dislike when men trynto explain what is and what is not hikab. Yes we are supposssed to wear simple Black hijab. However for the young coming up in age hijabi girls allow them to express their creatity. Leg them be them and I myself whom likes to mimic Hizrat Fatima Al Zhara.